Here we have the third of my reviews of the new standard line KWZ inks. These inks are apparently designed for those who like sheen. I typically don't care whether an ink sheens or not as the papers I use typically won't show sheen anyway. 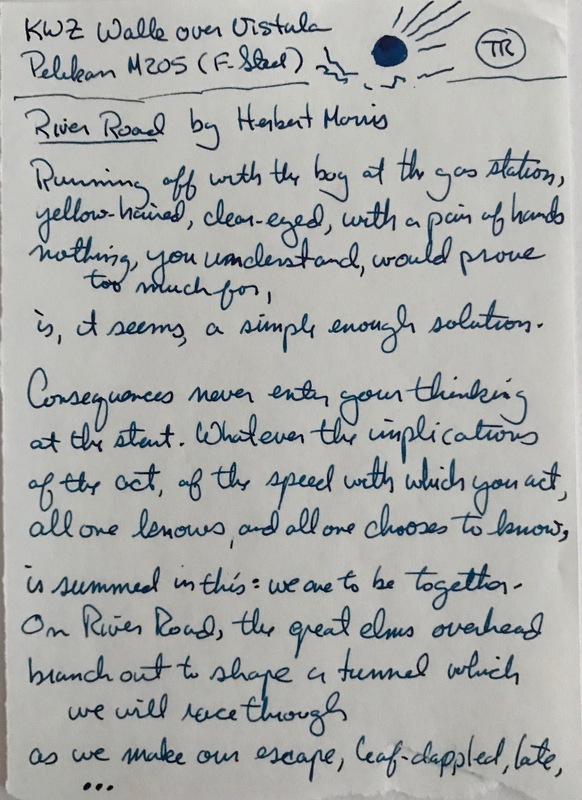 So I'm looking for good flow, easy writing without problems (skips, hard starts, nudging the converter to get good flow), saturation and/or shading. 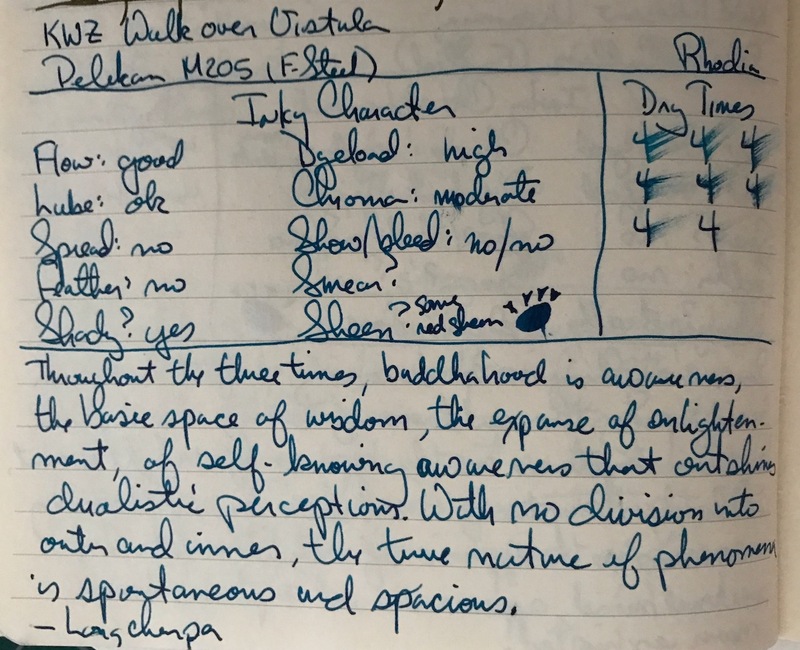 Since these are standard inks, I don't expect much color or value shift in an ink after it has dried, at least not in a closed notebook. In nearly all these criteria these inks are successful. I had the best experience of the three inks with this one, but must admit I used a Pelikan instead of an Edison pen. All my pens are wet writers. But the issue of nib dryout was common with these inks, though less so with this ink. Perhaps it was the ink, perhaps it was the pen. But for the brief times I leave a pen uncapped during writing I typically do not have this problem with any ink I use. Maybe you won't have this problem. Once writing, the inks flow well and continue to do so. 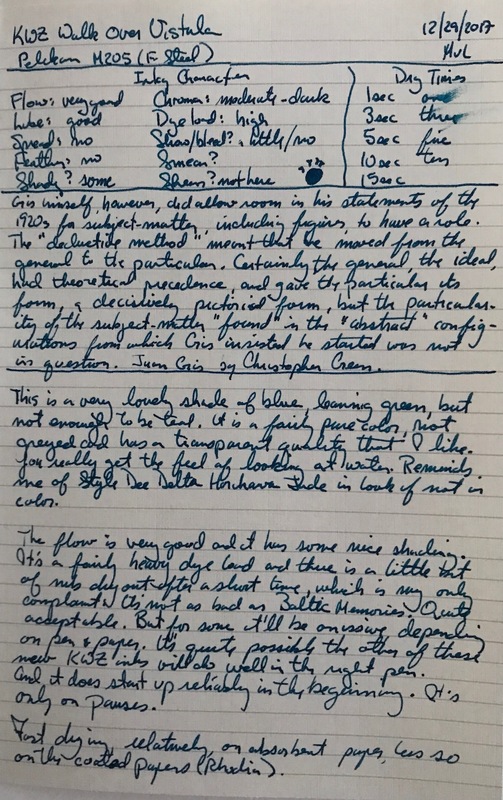 I did not experience any hard starts following uncapping a pen, though I admit I keep few pens inked, and cannot comment on what happens if the pen is left unused for a week. This ink leans the greenest between it and Baltic Memories, at least I think that's true. The ink seems a bit lighter in value than the Baltic Memories ink, but I did not compare them with the same nibs. 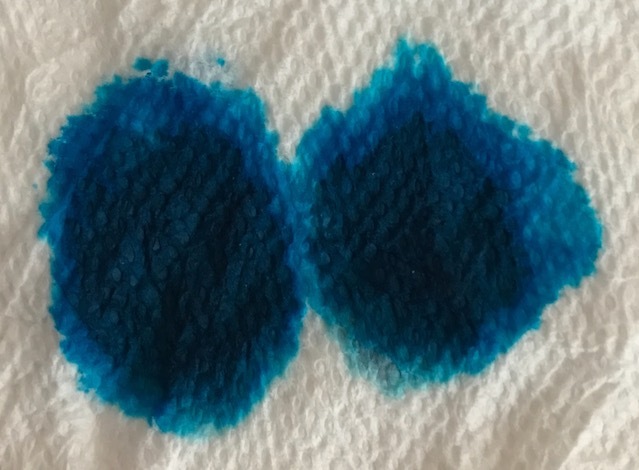 It is a single dye ink, and seems to clean out of the pen quite well compared with its level of saturation. Depending on the paper there is some shading. Nothing dramatic but enough to generate a bit of interest. A lot of sheen on Tomoe River paper and some of Rhodia. This was from a fine nib, so wider nibs will give more dramatic results. 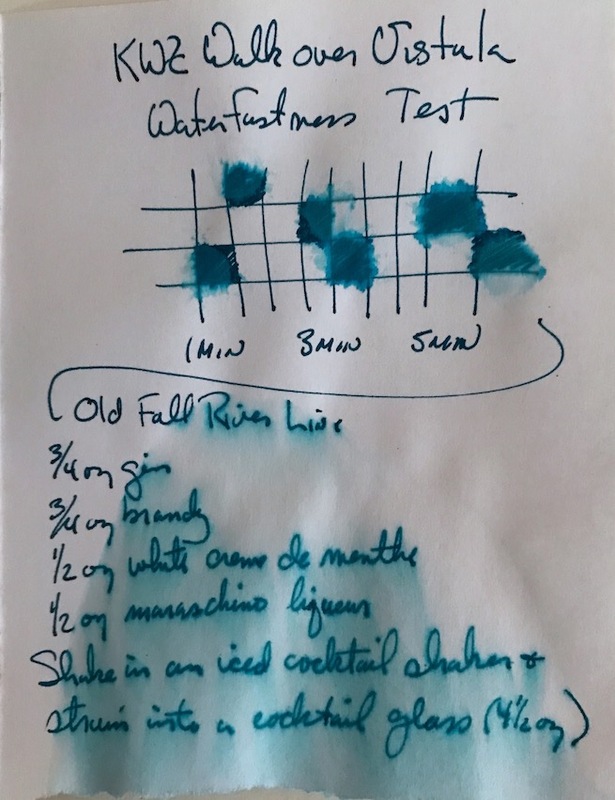 Both this ink and Baltic Memories are much greener than any of the Azure colors in the standard KWZ line. So if you like that, you're happy, if not, you might be making a sour face. I think it's great the KWZ is broadening the color range of their blues. The name and the label are awesome, and I hope this is a trend that will continue. And ink worthy of your consideration, especially if you like sheen. Papers: MvL=Mohawk via Linen, TR=Tomoe River, Hij=Hammermill 28 lb inkjet, Rhodia=Rhodia 90g ivory. The images were fairly decent, but the FPN uploader seems to modify the images making the ink appear darker and with less range than in reality. As always with ink reviews, you may want to order a sample prior to diving in on a full bottle. FPN has done a number on this image. The original while a bit darker has a white paper. Here it is grayish. And much darker; it makes the ink look near black and it definitely is not. Again considerably darker than it should be, and should be greener. Due to the flow enhancers the ink spreads to the verso of absorbent papers. Not waterproof and only water resistant to the extent that the ink penetrates the paper. But the ink isn't advertised as being waterproof. Nice review of an interesting color. Seems to have a hint of Lamy's Petrol in it. Of course this KWZ has more blue in it but the teal and the tendency to go dark to almost black (with some pens on some papers) is something special. Thanks. This ink definitely has a wide range of expression. Nib and paper will give a great variety to this ink. Definitely many good qualities here.